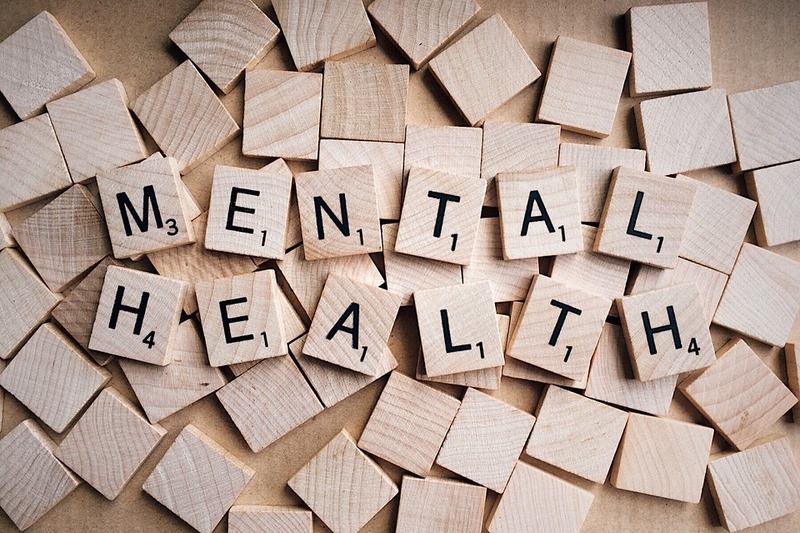 For World Mental Health Day I am re-posting posts on this blog that deal with stress, for litigators and those involved in the litigation process. Part of my work, dealing with relief from sanctions and limitation, means I come across this issue a lot. Mistakes in litigation are often the result of stress, overwork or problems caused by factors external to work which affect the ability to work. Further the stress of litigation, or workload associated with litigation, is often overlooked. So here is a summary of previous posts and links to useful sources of help. Given that a large number of the posts on this blog are about sanctions and looking where things go wrong in litigation it is not surprising that there have been posts on lawyers and stress. There have also been posts on the best means of reducing stress for litigants. Fish files feature several times in John Grisham’s work. He even wrote a short story about a lawyer’s issues with fish files. This is actually a very serious problem. Procrastination can lead to depression which, in turn can lead to other problems. The post provides a series of useful links on dealing with procrastination (which I will update when I can get around to it); litigation specific links with guidance for lawyers; how it can affect your health; practical advice and even has a section on humour. This was a post written in October 2016. It looked at those cases were young lawyers, sometimes trainees, had gone badly off the rails. My favourite section is “Ten Key Points: Avoidance of Problems and Dealing with a Problem that has occurred”. (When I wrote that piece about half a dozen lawyers rang me to say they thought I was writing, specifically, about them). This was a post written in February 2017. It dealt with the question of having a strategy in place for when things go wrong. This post was written in March 2018. This provided new links and guidance with specific links to organisations that can help. LITIGATION: WHAT IS AN APPROPRIATE CASE LOAD AND IS IT IMPORTANT? This was part of a three-part series written in 2016. I asked the question – what is an appropriate workload? “SO IS THERE AN EASY ANSWER? Again the post has links to articles and posts on this topic. The first in the series had quite a reaction. This post addresses the question directly – does extra hours lead to extra productivity it looks at a post from Jennifer Alvey who notes that working additional hours has the same impact as alcohol on the ability to function. This post looked at a case where the Court of Appeal overturned an order granting relief from sanctions in a case where an insurer had been extremely dilatory. STRESS AND THE LITIGATION PROCESS: HOW CAN LAWYERS MAKE MATTERS BETTER? This looked at an article by Hugh Koch which analysed the source of stress for litigants. It looked at ways of reducing the stress of litigation for the client. Find a lawyer you trust. Trust the lawyer you find. Manage your anger, fear or frustration. Try not to direct your anger or frustration at your loved one. Try not to direct your anger at lawyer. Fehzan Ali Seven Must-Read Tips for Your First Lawsuit. There are several interesting accounts in Success: How to Survive a Lawsuit. Several businesses state that, despite the stress, litigation was a boon for their company. Similar points emerge in the article by Neil Patel – What I learned from Fighting a 12-Month Lawsuit.The need to continue to develop your business, and cope with the litigation at the same time is a common theme. Guidance for doctors getting sued is widespread. Particularly in the United States. This is not surprising, see the statistics in Kevin MD’s 4 keys to manage medical malpractice stress syndrome. The consequences for doctors is considered in the Personal and Professional Impact of Medical Malpractice Claims. The issue is also considered carefully in The Liability Stress Syndrome. Modern Medicine – You’ve been sued. There’s help. American Medical News – Litigation Stress: Being sued is personal as well as professional. Sanbar and Firestone on Medical Malpractice Stress Syndrome. There is a Physician Litigation Stress Resource Centre . There is much material on that blog (again based in the USA), I particularly recommend Coping with a Medical Malpractice Suit. This is considered in a systematic way in The Litigation Patient: Mental Health Consequences of Civil Litigation. by Larry H Strasburger, MD. Looking at litigation from the Litigant’s Viewpoint 1: A book worth reading. Stress, litigation and litigators: useful links to avoid and deal with problems.